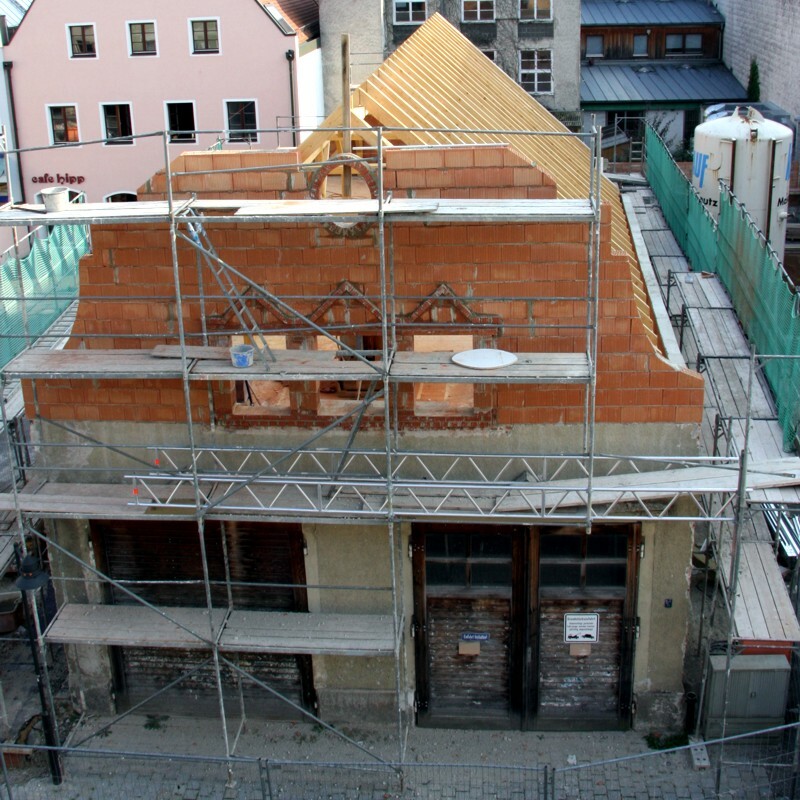 The old house from the century before last, whose side wall, for instance, I already showed in week 27, during its renovation – the roof and the gables have been torn down, now they’re building a new roof and new gables on top of the old walls. Meinst du die Mail vorgestern wegen der Empfangskraft? Die hatte ich (weil ich noch bei jemandem nachgefragt hab) erst heute um 10:03 Uhr beantwortet – also Gegenfrage: “Ist eigentlich meine Mail angekommen?” Da stand aber auch nicht mehr drin als dass ich leider niemanden für euch habe.